“For if righteousness were through the law, then Christ died for no purpose” (Gal 2:21). Hence it follows, that we are justified by his grace, and, therefore, not by works… If we could produce a righteousness of our own, then Christ has suffered in vain; for the intention of his sufferings was to procure it for us, and what need was there that a work which we could accomplish for ourselves should be obtained from another? If the death of Christ be our redemption, then we were captives; if it be satisfaction, we were debtors; if it be atonement, we were guilty; if it be cleansing, we were unclean. On the contrary, he who ascribes to works his sanctification, pardon, atonement, righteousness, or deliverance, makes void the death of Christ. Is it true that Christ suffered death or not? Did he suffer in vain or not? Unless we are quite mad, we have to answer that he did indeed suffer, not in vain or for himself, but for us… Take the…law, which contains the most perfect religion and the highest service to God — that is, faith, the fear of God, the love of God, and the love of our neighbor — and show me anyone who has been justified by it. It will then be true that Christ died in vain, for anyone who is justified by the law has power to obtain righteousness by himself… If you grant this, it must follow that Christ died in vain… Are we to allow this horrible blasphemy that the divine Majesty, not sparing his own dear Son, but giving him up to death for us all, should not do all these things seriously but as a sort of joke? I would rather see all the saints and holy angels thrown into hell with the devil. My eyes will see only this inestimable price, my Lord and Savior Christ. 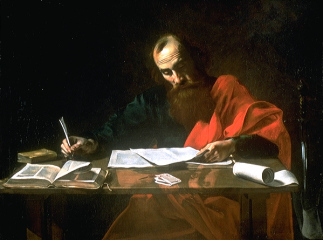 In this magnificent letter, Paul writes the Galatian church who had been inundated by false teachers. These teachers had come into the Galatian fellowship, and had started preaching salvation by self-merit. In fact, they went so far as to force the Gentile Galatians to become Jewish and to follow the Mosaic Law (Gal 5:1-12). Paul therefore wrote this letter to defend his gospel of salvation by Christ’s merit, not our own. In this letter, Paul had to argue on a myriad of levels in order to convince his hearers that his gospel was the true gospel. Because of this, Paul gave many differing defenses of his gospel. 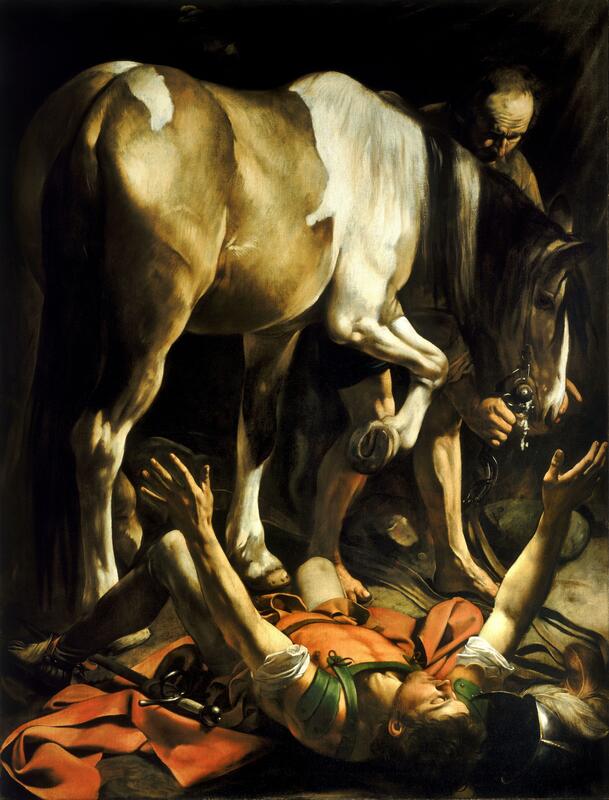 One of Paul’s defenses for his gospel was the fact that he was being persecuted heavily for preaching it (by both Jews and Gentiles — the persecution was just as bad on either side). In fact, in Galatians 5:11, Paul called his message “the offense of the cross”. Apparently, for Paul, the fact that his preaching was an offense to man was confirmation of the validity and veracity of his gospel. And in fact, Paul did offend most of his hearers. Over the course of his ministry, his gospel earned him scores of beatings, mockings, imprisonments, and banishments. And this was for Paul a good thing, because it meant that his gospel was about Christ and not him. In contrast, however, Paul mentioned repeatedly that the false teachers who were misleading the Galatians had not been mistreated or persecuted at all for their message. Paul said that they preached their message of salvation by self-merit in order to be praised. He argued that the false teachers preached their “gospel” in order that they might be esteemed by others (Gal 4:18), and boast in themselves (Gal 6:13). In fact, Paul accused the teachers of preaching salvation by merit for the very purpose of avoiding persecution (Gal 6:12). One question that we have to ask from all this is: what was so offensive about Paul’s gospel? And, what was so non-offensive, even self-promoting about these false-teachers’ message? I think the obvious answer is merit: Upon whose merit are you attempting to be saved? In contrast, Paul preached a gospel that pleaded the merit of Another. It was a gospel that despaired of human ability. It disparaged of self-will, and insulted the moral capacity of men. Instead, Paul’s gospel pleaded and hoped in the life, death, and resurrection of Jesus. It found acceptance in Christ’s righteousness, and forgiveness through Christ’s death. It was a gospel that boasted in Christ alone, through whom we die to the world and find acceptance, love, and fellowship with God (Gal 6:14). This was what Paul was trying to highlight when he gave attention to the false teachers’ need and desire for praise. They had a man-centered gospel! And, this is why Paul highlighted his own persecution. He had a Christ-centered gospel; one that was offensive to his hearers. It was a message of offense — and Paul did not want that offense removed, even if it led to his own martyrdom (which it eventually did). James Boyce comments on Galatians 5:11, saying, a man-centered gospel is “part of a system that seeks to attain standing before God through merit. In opposition to this, the cross proclaims man’s complete ruin in sin, to the degree that nothing he does or can do can save him, and thus also proclaims man’s radical need for God’s grace. The natural man does not understand such teaching (1 Cor 2:14) and, in fact, hates it, because it strips away any pretense of spiritual achievement”. 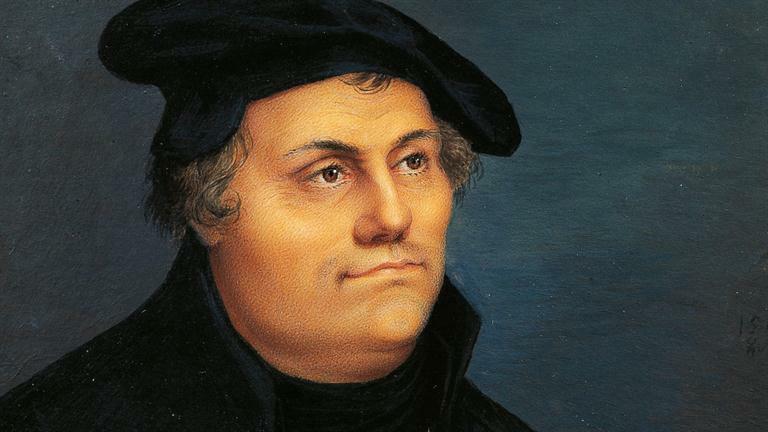 Luther adds to this, saying, “God forbid, therefore, that the offense of the cross should be taken away. This would happen if we should preach what the prince of this world and his members would be glad to hear — that is, the righteousness of works”. Is there another gospel besides the gospel of Christ? Of course, the answer to this is a resounding “no”. But it is interesting that in Galatians Paul calls the false message given to the Galatian church “a different gospel”. He exclaims to them, “I am astonished that you are so quickly deserting him who called you in the grace of Christ and are turning to a different gospel” (Gal 1:6). It should be apparent that Paul is using hyperbole. And he is using this language to highlight the absurdity of the Galatians’ actions in turning to a false message. James Boice comments on Galatians 1:6-7, saying that Paul’s statement in verse 6 “might suggest that there are after all various gospels among which a Christian may choose. This is the opposite of what Paul is saying”. Paul’s statement here was one of sarcasm and hyperbole. And in fact Paul says in verse 7, “not that there is another [gospel], but there are some who trouble you and want to distort the gospel of grace”. 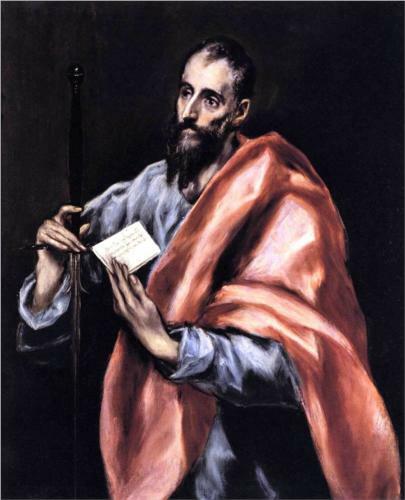 Boice says that Paul wants to clarify that “there cannot be another gospel as long as the gospel is understood to be God’s way of salvation in Christ”. But why does Paul use this hyperbole, calling the false teachers’ message a “different gospel”? Why wouldn’t Paul simply tell us from the outset that their message is dangerous heresy? I think that Paul wants to make a point by calling this false teaching a “gospel”. First off, when you read through the book of Galatians, the false teachers were not opposing the Christian God. In fact, they were claiming to have more apostolic authority than even the apostle Paul! This is why Paul spent the first 2 chapters of Galatians defending his ministry. Second, they weren’t even denying the work of Christ. In fact, they were claiming that their doctrine was in more alignment with Christ than Paul’s! Lastly, they were claiming that their teaching was the teaching of true Christianity. In this way, these false apostles were truly clothing themselves in a false version of the true gospel. Spurgeon once said that the difference between the true gospel and false teaching is not the difference between black and white. It’s more subtle than that! The difference between true and false teaching is the difference between white and off-white. For this reason, these apostles peddled a gospel so similar to the true gospel, that the Galatians were misled, and had nearly thrown off Christ altogether (Gal 5:2). In fact, these teachers were affirming Christ’s work; but, they were also adding to his work. “Yes Christ, but also Judaism“ was their gospel. They claimed that if one were to be truly justified before God, they must have Jesus as Messiah and adherence to the Mosaic Law. Interesting that these false teachers never once opposed Jesus (outwardly at least), but slyly added a work on top of it. For this reason, their message looked so much like another gospel, when if fact it was blatant heresy. But this is how false teachers work — they clothe themselves in just enough truth and mix it with lies. John Stott wisely says, “the church’s greatest troublemakers (now as then) are not those outside who oppose, ridicule and persecute it, but those inside who try to change the gospel…Conversely, the only way to be a good churchman is to be a good gospel-man”. Martin Luther, in his great commentary on Galatians adds, “here we see the devil’s tricks. 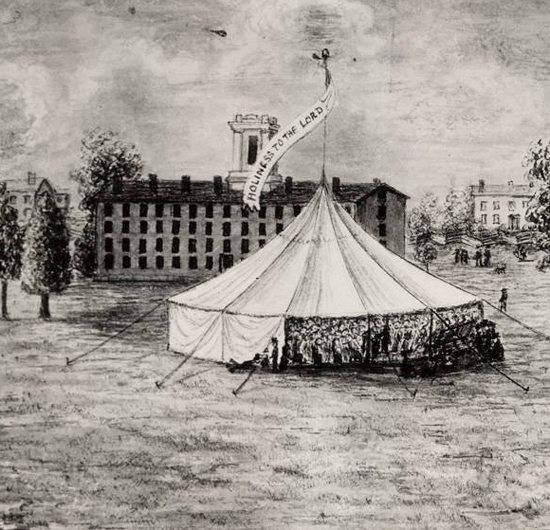 No heretic comes to us claiming errors and the title of the devil; nor does the devil himself come as a devil in his own likeness…In spiritual matters when Satan appears white, like an angel of God himself, he disguises himself in a most deadly way and offers for sale his most deadly poison instead of the doctrine of grace”. Let us then be good Gospel-men, who can tell even the difference between white and off-white. Because this is the only way we can recognize the true gospel from a false one.